Autograph Records is glad to announce the release of the debut single of Voke (winner of Destiny Child Gospel Music Talent Hunt Season 3) available from the 29th of August, 2015. 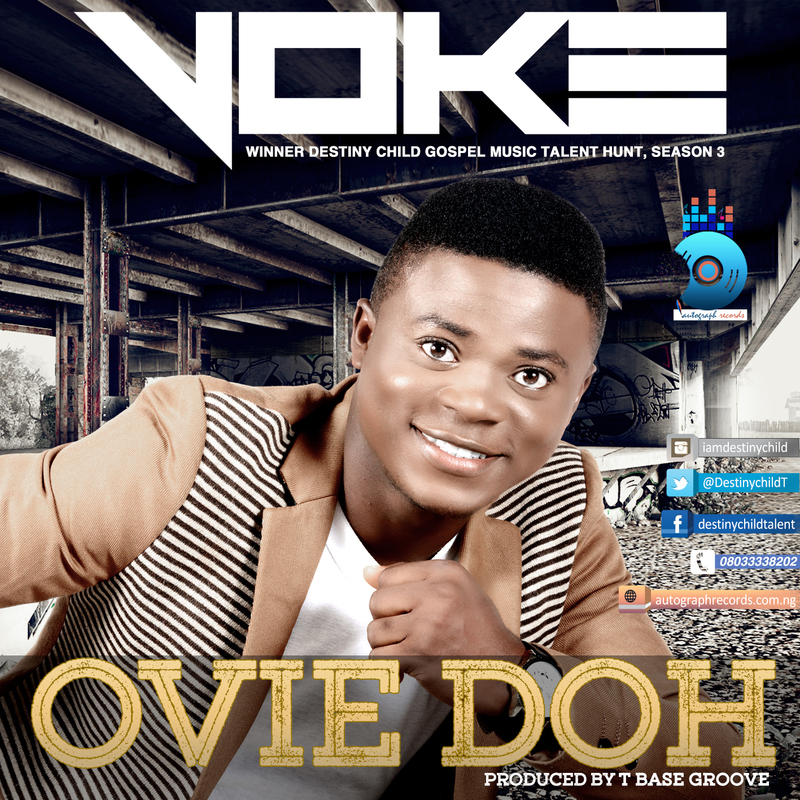 Ovie Doh is an African RnB song from the native Urohobo dialect which simply means ‘King thank You’. The song is borne out of the desire of continually praising God despite various setbacks Voke passed through. This is one song that will remind you to count your blessings one by one till your mouth is full of praise and thanksgiving to the King. Efiokpene Voke was born in Ughelli Delta State on the 10th of June 1987 to Mr & Mrs Raymond Efiokpene. He's the 4th child of 5 children. His academic journey started at Sure Success College in Warri where He got his First School Leaving Certificate then proceeded to Western Delta University, Oghara Delta state where he obtained a degree in Political Science and Public Administration. Voke started his musical career at a very tender age ministering and leading worship in his local church, following his passion for Gospel music the young RnB singer formed and lead a musical group called "THE PSALMIST", ministering great gospel songs throughout the entire city till it became a household name to reckon with. In 2014, Voke enrolled for the prestigious Destiny child gospel music talent hunt with the hope of becoming a better gospel singer, it was a journey filled with Grace, commitment and hard work as he worked his way through to the top. He finally emerged as the winner of the third edition of Destiny child gospel music talent hunt, walking away with a cash prize and the crown on his head. Destiny called and this young minister answered, indeed the world will hear!